At The Hamburg Garage, we are glad you have chosen us and we look forward to serving you. Over time, the clutch wears out, but its repair is not a difficult maintenance work for our skilled mechanics. 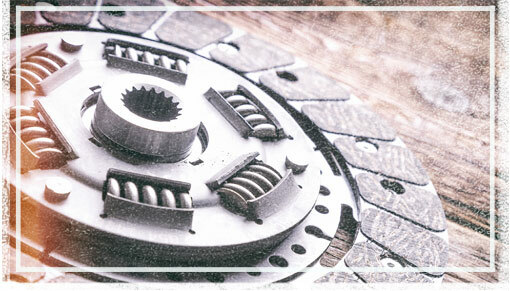 In some cases, you have to replace the entire clutch, because the clutch disc has been worn out completely. Other common problems include a leak in the hydraulics, air bubbles formed in the hydraulic line and stretched cable controls. The Hamburg Garage’s certified technicians are always happy to answer any of your questions for your clutch repair and service, and we work hard to get you back on the road in Whitmore Lake, as quickly as possible! If you suspect that there's something wrong with your clutch, the best thing to do is to bring your vehicle to The Hamburg Garage in Whitmore Lake, MI, where our certified technicians will run a diagnostic test in order to pinpoint the exact cause for concern. Call The Hamburg Garage today at (810) 206-1995 to speak with our knowledgeable staff or stop in at 11179 Hamburg Road, Whitmore Lake, MI, 48189 so that we can schedule an appointment for your vehicle.